Once again, the Milwaukee Film Fest has arrived. Uncertain was this years film sponsored by the fine folks at Milwaukee Movie Talk who were once again kind enough to provide me and my fiancee with free passes for the film (and we got to use this time them unlike last year’s fiasco). 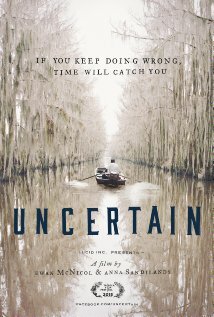 Uncertain is a documentary focusing on three lives in the small town of the films namesake in Texas, that’s right on the Louisiana border. The population of the town is 94 and life is focused pretty much on Caddo Lake, a conversational wetland as designated in 1971 under the Ramsar Treaty. Caddo Lake provides the town with it’s economic opportunity. An invasive species of algae has covered the lake and threatens to dry it up, as well as killing it’s wildlife. The town sheriff Tom McCool gives a brief description of the town at the opening of the film. His description is that Uncertain, TX “Is not on the way to anywhere. You’ve got know where you’re going or be lost to find it”. In his estimation, Uncertain is basically a place for outsiders and people who have had legal problems in the past. And then we are introduced to our three lead characters, who validate his description. Wayne is a middle aged hunter with Native American blood looking for redemption by getting in touch with his ancestors roots. 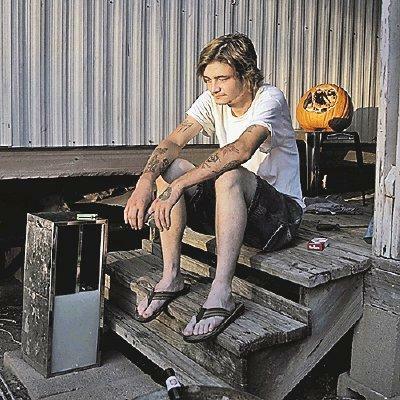 Wayne moved into the town to help him and his girlfriend stay off drugs after leaving a detox program. He owns a construction business that he runs with his estranged son, but the film is primarily concerned with his hunt for the elusive boar he’s dubbed “Mr. Ed”, because it has a horse shaped head. The quest for Mr. Ed is arbitrarily a quest for a sense of redemption and accomplishment. 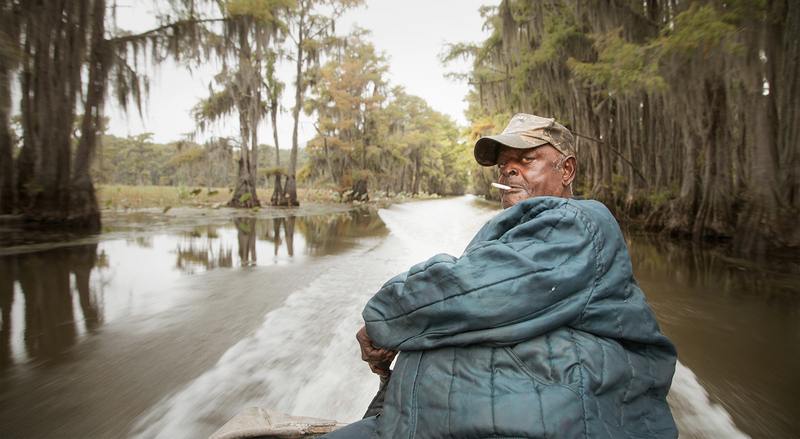 Henry, who is the soul of the film, is a guide and fisherman who works on Caddo Lake. He’s 74 years old and has lived in the town his whole life. As he says, he dropped out of high school and became a guide and has been doing it ever since. It’s where he feels at home and boating on the lake is what brings him joy in life. He’s trying to find God after losing his wife and daughter five years ago. 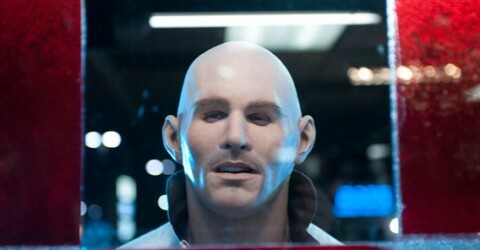 He’s also taken a shine to a new woman, whom his other children and co-workers greatly distrust. The youngest character, 20 something Zach is an alcoholic diabetic who spends his time when he’s not drinking living alone in his trailer playing Minecraft. With his health on the line, and very little future in the town, Zach has to decide what to do with his life. Interspersed with these narratives are short interludes with a scientist doing research on how to combat the algae spreading over the 32,700 acre Caddo Lake. Uncertain has a very strong Coen brothers type feel to it. This is a small town full of quirky characters with their own distinct pathos. The films strength is how likable they all are, and the atmosphere of the lake itself. There is a mystical quality to the film that makes it feel like there is a strong hand guiding the town and it’s citizens onto better things. I also really liked how we get to know the characters before their criminal histories are revealed to us. It gives the film the chance to humanize them, to show us they are not bad people, just those who made mistakes and are looking to make amends. The scenes of Henry riding along Caddo Lake are hauntingly beautiful, and you can tell he’s more at home there than he is anywhere else in the town. 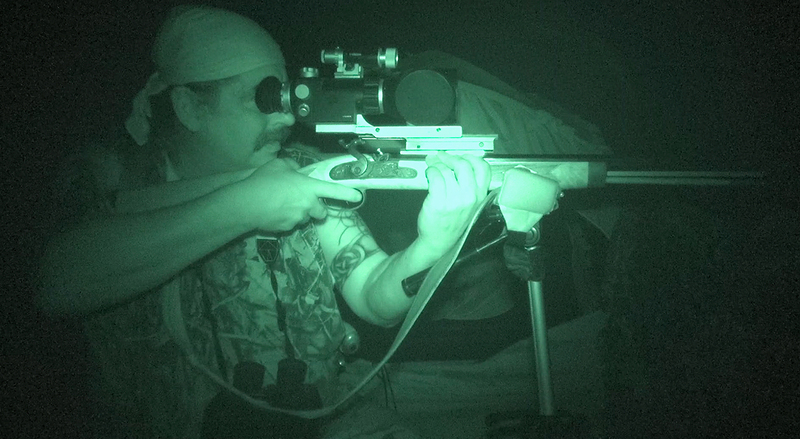 Wayne’s scenes of tracking the boar also have their sense of transcendence. Although a documentary, the interviewers/filmakers (Ewan McNicol and Anna Sandilandshave) have very little presence in the film and for the most part go unacknowledged. This leads to more of a sense of watching a feature film than a documentary. Since the duo also share a screen writing credit for Uncertain, it left me wondering how much of what we saw was real life and how much was staged. There is a scene in the store where Henry works where he has a conversation with a game warden about staying on the straight and narrow that seemed more than a little scripted. Another issue I had with the film is that the story of the town felt incomplete. The film makes no mention of how Caddo Lake was formed or it’s designation as conservational wetland. This films website does offer the resources necessary for those wanting more information on the town’s formation and the on-going effort to preserve Caddo Lake. I commend Ewan McNicol and Anna Sandilands for showing the population of Uncertain, TX as fully formed people, where as in lesser hands, it would have been a mean-spirited narrative about the struggles of ignorant southerners in a town without “proper economic opportunities”. As a former native of North Carolina, the stereotype of small town southern people gets to be a bit grating. No, these people aren’t going to change the world, but they are (mostly) fully capable of supporting themselves, and the town is able to afford the $2 million needed for the weevil project to cure Caddo Lake. Uncertain, much like the town, is quiet and understated. The focus on the characters offers a meditation on what it is to be human and how to survive in this world, while the eccentric portrait of small town life is endearing and makes this a film well worth seeing. On the voting ballot for the Milwaukee Film Fest, I gave Uncertain a 4/5, and I’d recommend it to any fan of southern gothic films.